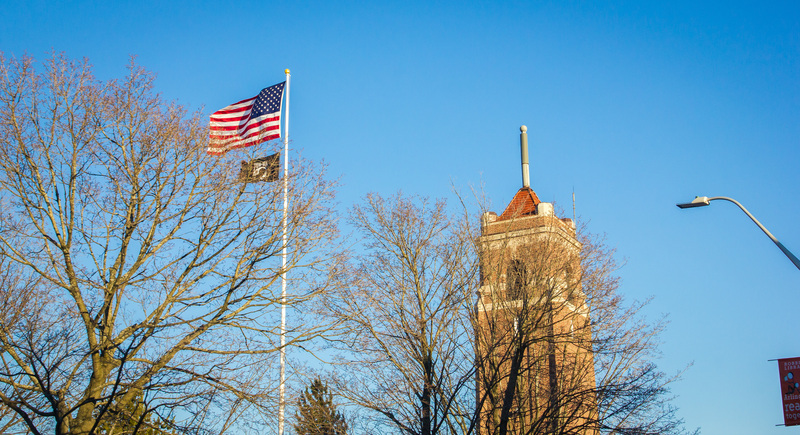 The flags at the Central Fire Station wave strongly in a steady February wind. 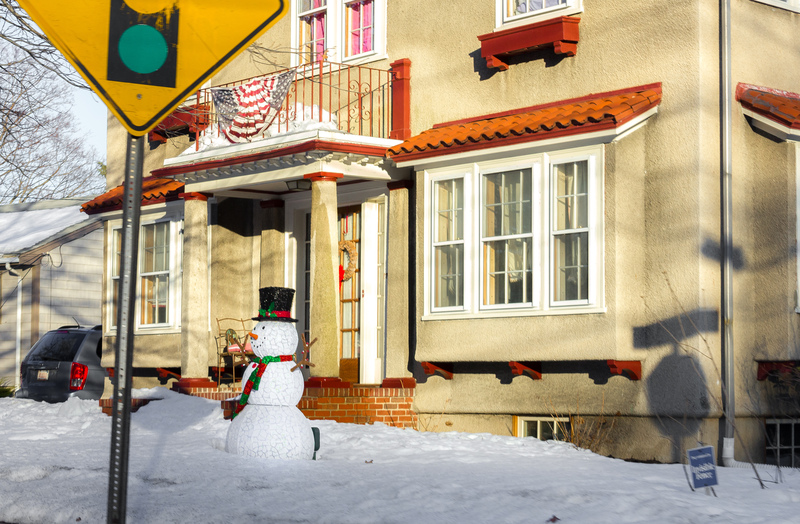 A snowman in the front yard of a Pleasant Street home worries not about the above freezing temperatures and direct sunlight. 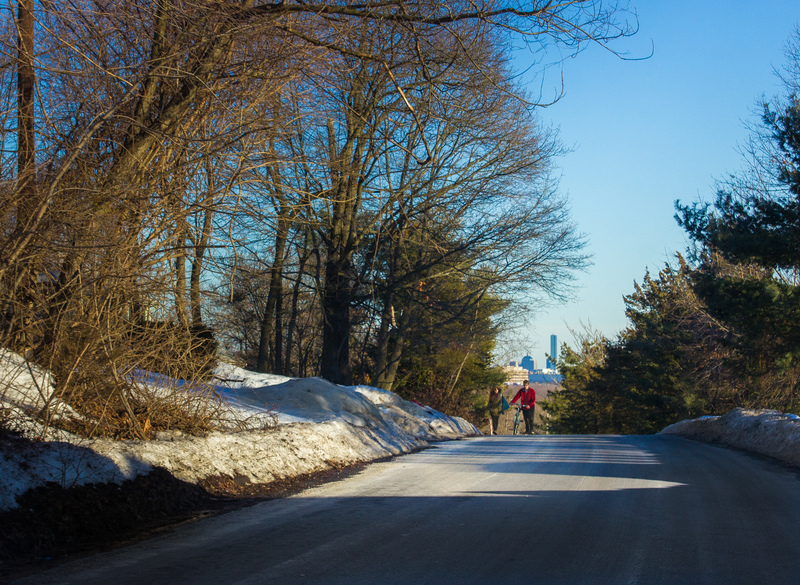 Two people walk up Spring Street while out enjoying a brief February thaw. 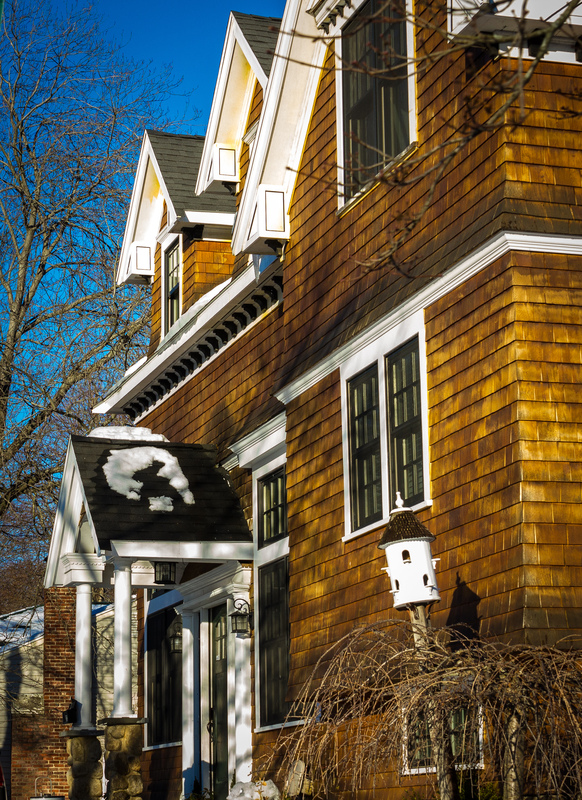 A home, with birdhouse, on Florence Avenue. 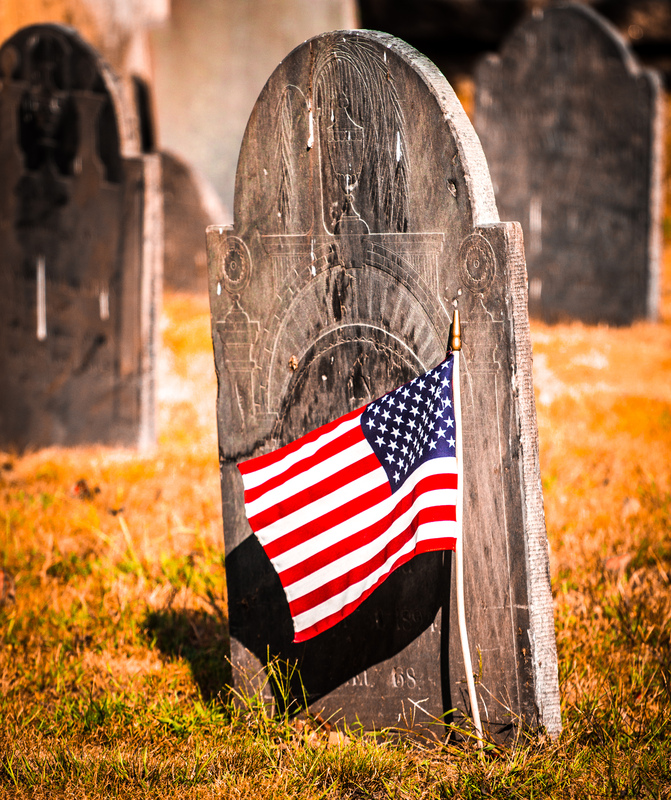 A headstone in the Old Burying Ground adorned with an American flag.